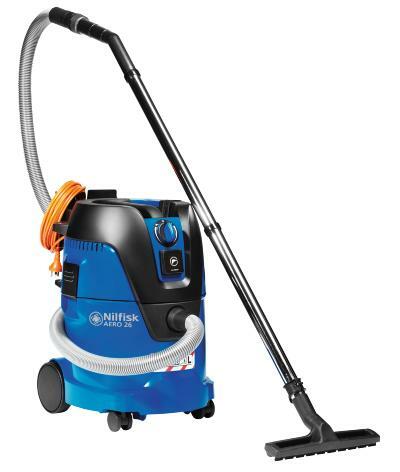 ​After almost one year in the market the new Nilfisk-ALTO AERO Wet & Dry Vacuum series demonstrates what customer understanding and application inside means for success in the market. What started out 3 years ago with a thorough user research covering professional Wet & Dry Vacuum Cleaners, is now introduced as a compact Light-IVAC series with broad global market coverage. Earlier this year AERO 26 was rewarded the Red Dot Award: Product Design 2014 & IF Product Design Award for our innovative approach to industrial design, ergonomics and modularity. And now we are proud to announce that recently AERO 26 has been rewarded the famous German PLUS X Award 2014. Beside receiving the PLUS X Award for high quality and functionality, AERO 26 also received the signet for Product of the year 2014 as best Industrial Vacuum Cleaner. To learn more about the process of how customer insight and product development goes hand in hand, please take your time to see this short movie. What derived from the user research? The users were typically struggling with loose cords and hoses, that made it difficult to carry the vacuum cleaner in just one hand. When packing down the machine, the user often invented their own solution on how to fixate the cord and the hose. With integrated handle, the container can be carried/lifted with one hand so it is possible to climb ladder or a staircase.